The United States Attorney’s Office reported a major heroin distribution bust in Ocean County over the last month. The operation was described as a large-scale heroin trafficking organization that included multiple individuals from Brick, Lakewood and Bayville. Most of these individuals have been charged with conspiracy to distribute heroin and special agents report that the bust was the result of the growing efforts by the FBI and partnering local authorities to attack the heroin problem. Two of the partners in the investigation and arrests were the Brick Township Police Department and Toms River Police Department, both of whom were also quoted in the press release. Chief Nils Bergquist of the Brick Township Police Department indicated that “[h]eroin continues a major contributing factor in much of the crime in Brick Township [and that their] ability to partner with the FBI and Safe Streets Task Force has allowed us to interrupt a significant source of heroin coming into Brick Township.” A similar statement was made by Toms River Police Chief Mitchell Little. Under the New Jersey Criminal Code, distribution of heroin under N.J.S.A. 2C:35-5 is an extreme serious crime that involves as much as 20 years in state prison where 5 or more ounces are involved. The NJ penalties are even worse if the intent to distribute heroin arrest results in a charge of being a leader of a narcotics trafficking network (e.g. drug kingpin) or operating a CDS production facility. These offenses can carry a prison term, at the extreme, of life. The jail terms and other penalties set forth under the federal code, that which forms the basis for the charges in this case, are usually even more severe than those I have just described. Accordingly, any way you cut it, many of the individuals arrested in this case face what is probably decades in federal prison if they are convicted. The United States Attorney can be expected to aggressively prosecute the charges in hopes of deterring future violations. If you have been arrested for distribution of heroin and your case is pending in Toms River at the Superior Court, or even Federal District Court in Trenton, we can help you. 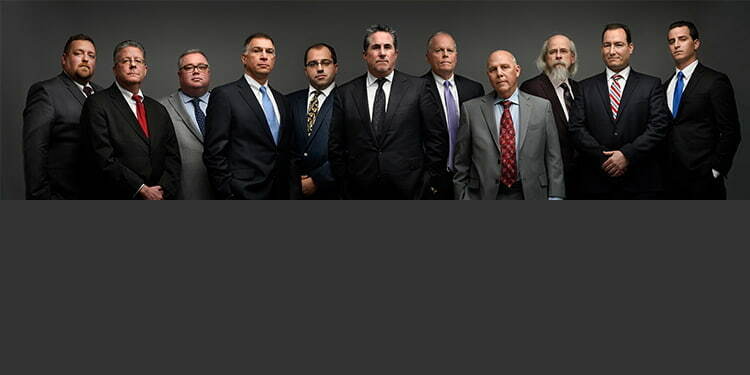 Our team of drug trafficking defense lawyers includes multiple former prosecutors and a staff with over 100 years of collective experience. There are no do overs when it comes to serious drug cases so give yourself the best opportunity of avoiding penalties by consulting with a highly experienced heroin charge attorney like those at our firm.